Many of us revere clarity. There’s a whole industry built around helping people to find it. 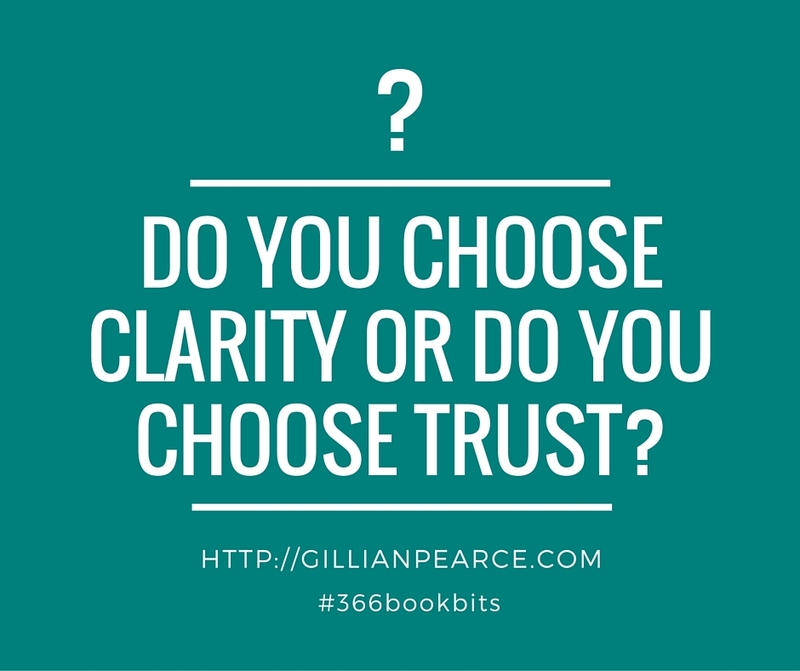 But what do you do when you’re simply not clear? You can’t force yourself to know what to do, especially if you’re struggling to work it out and you have a head full of thinking. If you trust in the flow of life and take the next step that you can see now, you won’t need clarity beyond that. And, there’s an added bonus in that you won’t miss all the wonderful opportunities that are waiting for you that you couldn’t possibly plan, because you can’t imagine them yet! 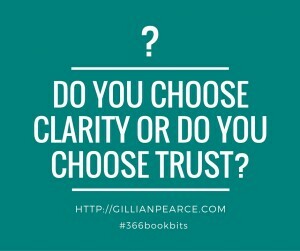 In the brilliant structure of “both/and more” vs. either/or, choosing to trust takes a certain clarity!